Throughout history, liberty has been something important to the human race. This can be easily proved by taking a look at the stories we tell. There are stage plays, such as Oedipus Rex, which state humans are completely at the mercy of fate. There is television, such as Season 4 of Angel, which argues that freedom, even at the cost of perfection, should be sought after. Surely, individual freedoms are not something to give up easily. Yet Golan Trevize readily does so before his story even starts. Why? That’s the very question he would like answered, and he sets off with two friends to find out. They travel to various planets, gradually learning possible end results of free will, but all the while they are searching for the planet Earth: for if the answer is anywhere it will be on the ancient home of humanity, long lost to the dust of history. So Golan and his crew keep hopping for planet to planet, searching for any traces that Earth still exists and wasn’t destroyed as all the legends say. This was my first venture into Asimov and it was really interesting. I expected it to be boring, and I actually found that Asimov delivered an entertaining story. He had dialogue, discussion of the theme within the story, and a few action bits that really kept me on my toes. Asimov’s writing isn’t flowery, it is actually more technical which is perfect for this type of story. 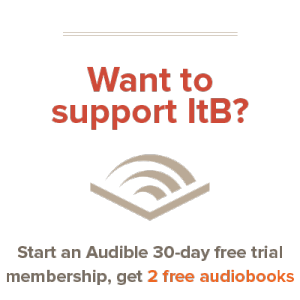 Some people complain about the overabundance of science in Asimov’s writing, but I found all the information interesting and felt it worked in the story’s favor. There is only one big issue I have with this entire story: the ending. As I kept rapidly heading toward the end, I kept eyeing the pages remaining and wondering how Asimov was going to wrap it all up in that short a time. 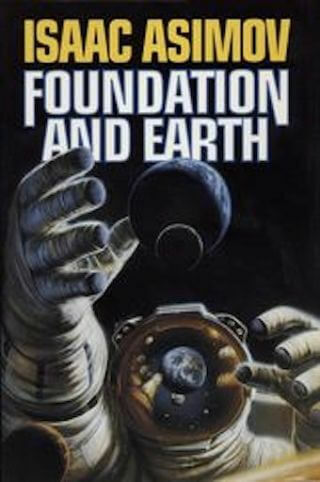 Interestingly, this is also the series finale for Asimov’s Foundation, which I learned after starting the book. (Points in favor: it made perfect sense without having read anything else in the series.) So Asimov has a book which needs to tell its own story and wrap up an entire series and the climax arrives with ten pages to spare. Sadly, while the climax made it in time, it wasn’t what I wanted. I won’t spoil it, but when I finished the book I had to make sure this wasn’t a cliff-hanger for another book. The ending just drops out, as if Asimov decided he was done with the series and rage-quit. The resolution to his theme of liberty also shocked me, though not in a drop-the-floor-out-from-under-me kind of way. All in all, the story is great. Definitely worth reading, even without having read the other books in the series. Be prepared for a shocking ending, but otherwise hold on for the ride and have fun!